This pretty porcelain knob from La Finesse will gussy up an old commode, armoire, wardrobe and more. It’s a pretty inexpensive way to give an old piece of furniture some new life. The charming flower pattern on the 3 cm diameter knob will add some interest to a drawer or door. 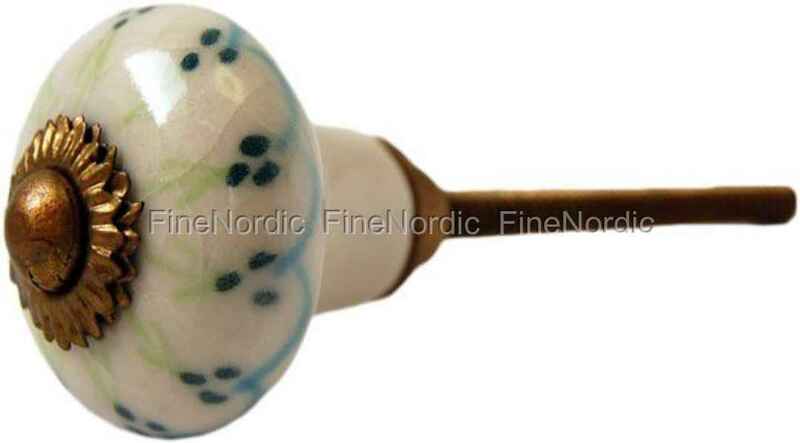 You can also check out all the other porcelain knobs we offer in our web shop. We are sure you will find one that will be the perfect one for your restoration project.